Rent a private jet to Nice, capital of the Alpes-Maritimes department along the French Riviera known for its picturesque Promenade des Anglais, the city’s beautiful waterfront along the Mediterranean Sea. Nice is like a magnet to private jets in Southern France, serving as the gateway to the Cote d’Azur and luxurious destinations including Cannes, Monaco, Saint-Tropez, and more. Not only is it a popular destination for Mediterranean getaways and luxury events, it also serves as a popular re-fueling stop for flights between the hemisphere’s most popular destinations. Centrally located between London, Paris, Madrid, Moscow, Tel-Aviv, Dubai, Cairo, Rome, and more, it’s one of the busiest private jet hubs in all of Europe. Chartering a private flight to Nice Côte d’Azur International Airport (LFMN, NCE) is the most comfortable and stylish way to arrive along the French Riviera, and our company was created to offer the highest standards for executive groups, high-net worth individuals, and luxury travelers from around the world. Our team offers instant access to thousands of private jets and airliners located in Southern France and around the world. No matter where you request your flight from, we’re confident we’ll locate the right aircraft for your flight, whether you’re flying within Europe or traveling overseas. Our Wyvern-certified Nice Air Charter Advisors utilize the highest safety standards in private aviation. All of the aircraft we use for private flights to/from the Cote d’Azur are operated by FAR Part 135 (or foreign equivalent) air carriers. 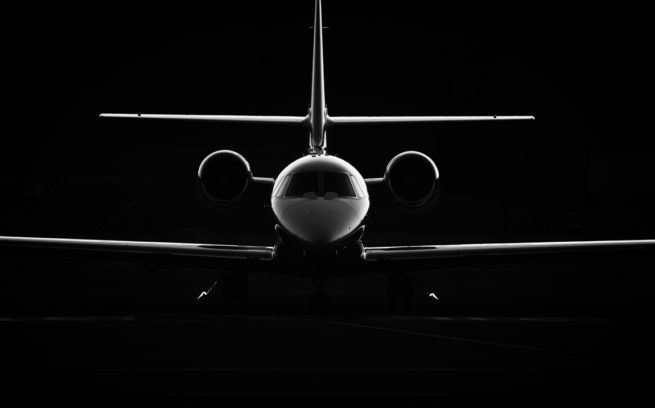 We’re here to become your complete aviation solution for luxury air travel, jet cards, aircraft acquisitions, and private jet management in Nice, France. Join our distinguished list of private jet clientele including royal family members, heads of state, executives, celebrities, and leisure travelers from around the world, and gain peace of mind working with a private charter broker you can trust. Enjoy the most comprehensive and attentive jet charter experience in the industry. Call ACA at 1-888-987-JETS (5387) or request a free charter quote now for private jet charters in Nice. Private jets can arrive using the following airports along the French Riviera, and we can arrange private helicopter transportation directly to the city-state of Monaco, Saint Tropez, and other destinations. Southern France is one of Europe’s busiest markets for private aviation, and empty leg flights are frequently available as business jets travel to/from Nice. Make sure to ask about potential empty leg private jets when speaking with one of our brokers. Nice rests along the pebbly shores of the Côte d’Azur, and its proximity to Cannes has made it one of France’s most popular private flight destinations; its history of opulence and luxury has created one of the most popular tourist destinations on the Mediterranean. The French Riviera, The Cote d’Azur: these names have arisen throughout history to signify luxury, decadence, and relaxation. They conjure up images of happy people sipping wine in seaside cafes on lazy afternoons. Shimmering ocean waters peppered by sailboats call out to the senses, and they suggest that each moment be framed and hung up neatly on the walls of your mind. That’s what makes the French Riviera one the most popular destinations in the world for private charter flights. Life in Nice seems to pass by a bit slower than in other parts of the world; brunch gradually bleeds into dinner time, and a short walk on the beach turns into a meandering adventure. It’s that type of lifestyle that vacationers need, and it’s what you’ll enjoy most after your private jet arrives. Nice’s international shops offer a happy medium between the extremes of Milan and Paris. Many of the main streets in the area can come off as tacky and over-developed, but just behind the curtain of tourism is a wide swath of luxury boutique shops, peddling everything from home apparel and antiques to dresses and suits. Some of the best shopping in the city can be found off of Jean Medecin Avenue. This walkable city center street is full of luxury retailers and boutique designers that are sure to entice visitors of any interest. And, of course, there’s plenty of fun to be had at the iconic Promenade des Anglais. While you’re out on the town, it makes sense to spend some time perusing the different museums and art galleries that make the area a cultural hub of France. If you’re interested in seeing pieces by today’s most influential artists, then look no further than the MAMAC, one of France’s premier venues of contemporary art. France is famous for food, and it’s famous for wine and overall culinary passion. Everyone knows that part of the allure of the French Riviera comes from this iconic, yet slightly intimidating, passion; it’s as if we imagine the chef will take offense if we don’t enjoy the meal properly, so we take our time. It’s in this way that culinary excellence affects the city’s general lifestyle. Smaller portions with minimalist presentation urge visitors to just slow down and enjoy it, to enjoy each moment. It’s easy to get in the zone when dining out in in France. For some reason, Michelin Starred restaurants beg a bit of extra care be taken when eating their food; there’s a bit of gravity between the moment the food leaves the plate and passes through your lips. If you’re still looking for the absolute best restaurant to put on your itinerary, then consider planning for a night at L’Univers where signature chef Christian Plumail will take the best care of you. A close contender for best gourmet restaurant in the city is the Negresco’s Chantecler. The Côte d’Azur seems like a great place to hit the beach and relax, yet that’s not really the case. The beaches consist of pebbles and very little sand, the ocean has a steep drop off that makes it difficult to play in the water, and the public beaches are usually pretty packed. However, that’s not really what people go there for. It’s not the ocean itself, but the view of the ocean. It’s the shimmering waters and the mountains, and the quaint European architecture and everything else that comes together to create a unique atmosphere. The atmosphere pervades the lifestyle, and turns each experience into a special one. It also doesn’t hurt that the weather is perfect all year-round. Take advantage of the sunny blue skies and go for walks through the various street markets, or hire a tour guide and get a feel for the city’s museums and art galleries. Take long meandering drives through the elevated causeways and bluffs, and stop off at the scenic checkpoints for a bit of professional selfie taking. You’ll take full advantage of picturesque landscapes by simply being surrounded by them; no attractions are necessary. If you’re interested in chartering a luxury yacht while along the French Riviera, let us know! We also specialize in luxury yacht charters, and can connect you to the perfect luxury yacht, catamaran or sailboat along the Cote D’Azur. We’ve connected clients to luxury charter yachts around the world, everywhere from Miami to Manhattan to the Mediterranean, so ask our jet charter team about combining your private flight and yacht charter for a comprehensive luxury vacation in Nice, France. Between the beautiful Mediterranean coast and it’s proximity to other destinations such as Cannes and Monaco, Nice is the second most visited city in France, and tourism is the economy’s driving force. (NCE) Côte d’Azur International Airport is the third busiest airport in France, mostly because of tourism, but also due to the difficulties of traveling by land across the Alps. The Palais des Congrès Acropolis is the city’s lone conference center, and there are several business parks located throughout the area, including l’Arenas, Saint Isidore, and the Northern Forum. 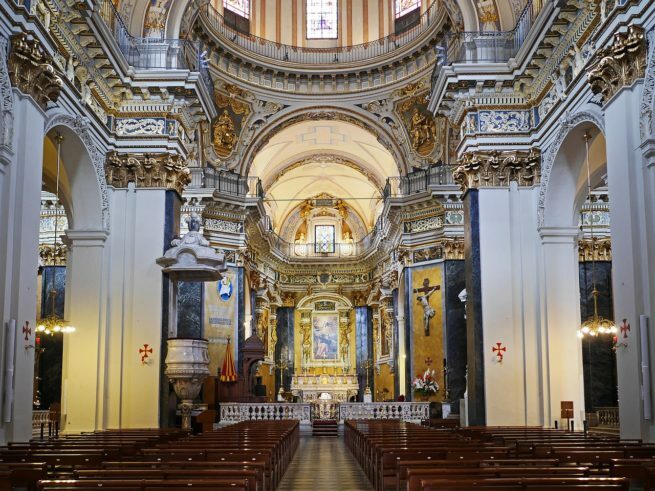 Nice routinely ranks as one of the top 10 charter flight destinations in Europe, and its airport is a popular choice for business and executive charter flights. Terminal 1 at the Côte d’Azur International features a business center is containing eight rooms and a conference room with a capacity of 250 people. The airport is also used by business and executive charter flights to/from the city-state of Monaco. If you need to arrange a private flight to Nice for your client or executive team, let our team be your personal assistant in aviation. We understand that this business is about forming a relationship, and not just the dollars and cents. ACA is here to answer any aviation questions you may have to provide a transparent, one-on-one consultative experience when arranging charter fights to Nice, France. Private flights to Nice are almost always carrying their passengers on vacation; it’s what the French Riviera is known for. Still, even if you are on your way there for business, it’s likely to be the most relaxing business trip you’ve ever had. This is even more true when you fly with Air Charter Advisors. Our boutique aviation team offers highly customizable service at the highest standards in the aviation industry. Whether you need a heavy jet with in-flight catering and Wi-Fi or luxury ground transportation and helicopter lifts, your personal Nice Jet Charter broker will be able to arrange it for you. Chartering a private jet is generally the most comfortable and efficient way to get anywhere in the world. Customizable catering, in-flight Wi-Fi, and a ton of other options make it a unique and wonderfully relaxing experience, and it’s always good to be able to maintain that level of luxury upon reaching your destination. Sparkling water views, golden sunsets, quiet ambiance, and stately accouterments make the lodging options in Nice just about the best you’ll find in Europe. They generally offer full spas, large and well-appointed suites, and wonderfully attentive staff. A few of the standouts even boast in house Michelin Starred restaurants like Hotel Negresco. If you’re still looking, we’ve come up with a few suggestions for you. Based on jet charter client feedback, online reviews, and amenities offered, our list is a great place to start your search. Read on to check out our list of the best places to stay for after your private flight. 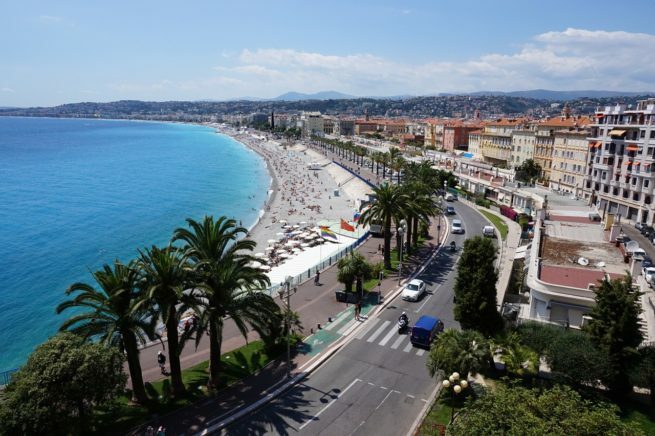 Air Charter Advisors utilizes the following airports to arrange private air charters to/from Nice, France and neighboring areas of the French Riviera. Book a private flight to Nice Côte d’Azur Airport (IATA: NCE, ICAO: LFMN), an international airport located 4 miles (7 km) southwest of Nice in the Alpes-Maritimes department of France, and the main gateway to the Côte d’Azur. 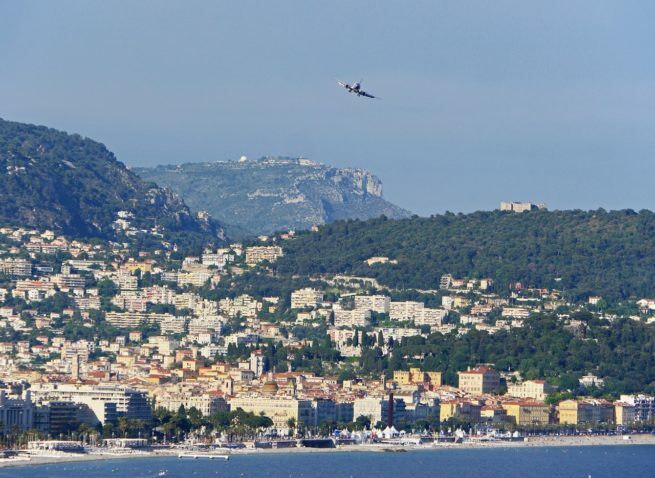 (LFMN, NCE) Nice Côte d’Azur consistently ranks as one of Europe’s top business jet airports, and it’s the third busiest airport in France, handling more than 12 million passengers in 2015. The airport also serves the city-state of Monaco, with helicopter service linking the principality and airport. Popular business jet routes to/from Nice include (VKO) Vnukovo International in Moscow, (LBG) Paris–Le Bourget in France, (GVA) Geneva Airport in Switzerland, (OLB) Olbia Costa Smeralda on the island of Sardinia, and London’s (LTN) Luton Airport. The short routes between the French Riviera and the Balearic Islands of Ibiza and Mallorca are also busy during the summer months. Private jets can arrive or depart using two parallel runways and two passenger terminals at Côte d’Azur Airport; there’s also a freight terminal for cargo charter flights. Call ACA or request a charter quote to arrange your private flight to Nice Côte d’Azur (NCE). Rent a jet to the French Riviera and arrive like a star at Cannes – Mandelieu Airport (IATA: CEQ, ICAO: LFMD), an airport located 3 miles (5 km) west of Cannes and just east of Mandelieu-la-Napoule, both communes of the Alpes-Maritimes department. Facilities at (CEQ) Mandelieu Airport include two runways for aircraft; private jets can utilize 17/35, a 5,282 foot asphalt runway, while turbo-props and smaller planes can use 04/22, a 2,493 foot asphalt runway. The airport experiences a spike in private jet flights during the Cannes Film Festival, the Cannes Yachting Festival and other events along the French Riviera. Book your flight to (LFMD, CEQ) Cannes – Mandelieu using ACA’s on-demand air charter service. Helipads are available at both (NCE) Nice Coted’Azur and (CEQ) Cannes–Mandelieu for quick and efficient helicopter transfers, and helicopter charters are the best way to get to/from Monaco after arriving via luxury plane to Nice. Let your broker know if you’re planning on traveling to Monaco and would like to add a helicopter lift to your itinerary. One of the many benefits of private is that passengers utilize more than 100x the number of airports as opposed to flying commercial. The following list contains additional airports for turbo-props and light/midsize jets along both the French and the Italian Riviera, and are located within 50 miles of the city. Air Charter Advisors has access to the private aircraft listed below for your flight to Nice, all of which are operated by FAR Part 135 or 121 (or foreign equivalent) air carriers. There are many private jets based along the Mediterranean, as well as hundreds of transient jets available for empty leg charter flights, and we can provide access to Wyvern Wingman/ARGUS Platinum aircraft when requested. Popular aircraft rentals for Nice air charter include light jets (Phenom 300/300E, Citation CJ3; Eclipse 500); midsize jets (Citation XLS, Hawker 800XP, Challenger 300/350, Gulfstream G280); large cabin heavy jets (Challenger 604, Legacy 600/650, Gulfsteam G4); and long-range jets (Global Express, Falcon 7x, Gulfstream G550/G650). 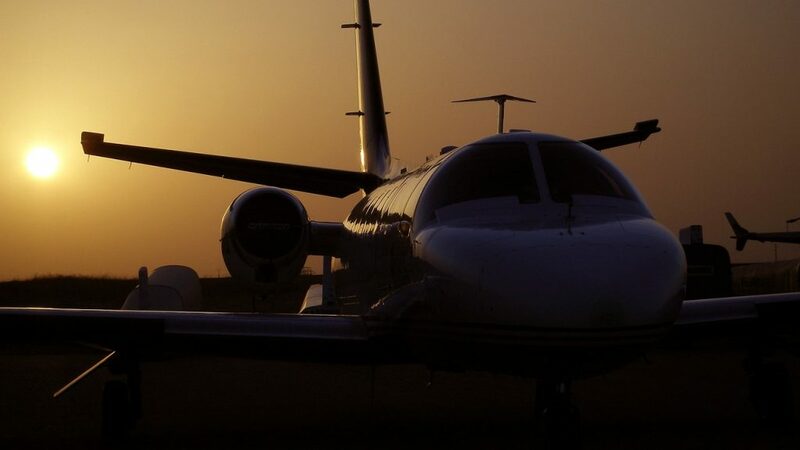 We can also connect you to regional and VIP airliners for large groups including corporate air charter and special events, or to Piaggio, Pilatus, Piper, and Cessna pistons, props, and light jets to hop across the Mediterranean. Contact your broker to review all of the private aircraft options for your Charter flight. Request a Quote or give us a call at 1-888-987-JETS (5387) to speak with one of our Nice Jet Charter brokers for your next luxury vacation, business trip, or special event. We understand that your time, privacy, flight preferences and most of all, safety, are all extremely important, which is why you can expect quick response times and an easy, hassle-free booking process. Our services are available 24 hours a day and 7 days a week to meet all of your needs and ensure your flight is as comfortable and efficient as possible. Our hassle-free booking process makes everything easy, and our transparency means you know everything will be as you expect it come flight day.